The Leesa is a foam mattress that hugs your body and provides plenty of comfort throughout the night. The Leesa is a medium-firm luxury mattress that offers plenty of comfort and is ideal for back sleepers. 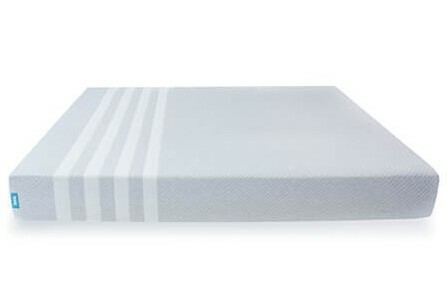 Its three-layer foam construction provides plenty of bounce, response and pressure relief for all sleepers. It is a medium-firm mattress making it an ideal option for back sleepers and some stomach sleepers. It features Avena foam, which is a latex-alternative, giving you more bounce than a traditional memory foam bed and helping you sleep a little cooler. You desire a firmer mattress: If you prefer a firmer mattress or are a back or lightweight stomach sleeper, this mattress may be just what you are looking for. You want a mattress with plenty of hug: The Leesa does an excellent job hugging your body and contouring to your body’s natural curves without making you feel stuck. You don’t want to pay a fortune: You can buy a queen-size Leesa mattress for less than $1,000. Not many luxury memory foam products offer that low price tag. The Leesa is made using three foam layers. The top layer is comprised of Avena foam, which is a latex alternative and a unique addition to this mattress. It provides extra bounce, a fast response and some cooling capabilities. Unfortunately, many users say the Leesa still sleeps warm, and it is not as cool as they desire. This is a medium-firm mattress, which is ideal for back sleepers. It is rated a 6.5 out of 10, with 1 being very soft and 10 being extremely firm. The medium-firm design provides some support for stomach sleepers, particularly lightweight stomach sleepers. However, side sleepers may find this mattress is too firm and they will need a topper to soften the mattress. Furthermore, this mattress is 10-inches thick, which is ideal for lightweight and average-sized sleepers, but heavier users may find they “bottom out” when sitting on it. 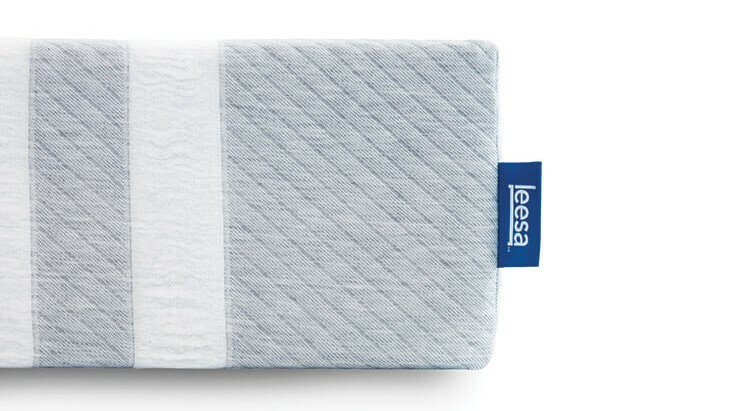 The Leesa comes with a 100-night trial period which is standard among many online boxed mattresses. It also features a 10-year manufacturer warranty. Unfortunately, a major drawback to this mattress is its strong off-gassing. Many users complain about the poor chemical-like odor from this mattress and say it takes several days before it disappears. Look for a mattress with a firmness level ideal for your body type, sleeping position and personal preference. Side sleepers need a soft mattress, while stomach sleepers should consider a firm product to keep their bodies aligned on top of the mattress. Back sleepers need a medium-firm mattress that isn’t stiff but still provides plenty of cushion. Consider mattresses made from high-quality materials that can withstand extensive use. The best products should last a minimum of 8 years. 1. Cooling Avena® Foam: The two inch top layer allows air-flow for a cooler night’s sleep. The Avena foam also provides enough bounce for freedom of movement. 2. Pressure Relieving Memory Foam: The 2” memory foam layer provides the body contouring and pressure relief you’ve come to expect from memory foam. 3. Dense Core Support: The 6” dense core support foam adds strength, durability and structure to support sleepers of all sizes, without feeling too firm on top. Mattresses vary in their design and construction. Look for products made using high-quality materials and boast features such as pressure relief and air flow capabilities. If you are a heavier individual, consider thicker mattresses to better support your body. Innerspring and latex mattresses sleep cool and retain very little heat. Unfortunately, memory foam mattresses can sleep hot. If considering a memory foam mattress, look for products with cooling features such as gel foam and breathable fabrics. It can take your body several weeks to adjust to a new mattress. Consider products that let you test the mattress 100 nights or longer risk free. Look for mattresses that offer a minimum 10-year warranty. The best manufacturer warranties are 20 years or longer. Currently, the Leesa mattress is available for customers in the United States, Canada and the UK. Can I wash the Leesa mattress cover? No, you should not remove the Leesa mattress cover. How do I clean the Leesa? If spills or accidents happen on the Leesa, spot clean the mattress with water and a mild detergent. Gently dab any spills and avoid scrubbing and applying force to the mattress. How long will it take the Leesa to expand? It will take approximately an hour for the Leesa to fully expand. However, it can take several days for the Leesa to gain its full support. See how the Leesa performs compared to Casper, Purple and Tuft & Needle. However, many users say it retains heat and it produces a strong chemical-like smell that lasts for several days. Although, despite its few drawbacks, if comfort, firmness and value are important to you, the Leesa is an excellent mattress with minimal motion transfer and good edge support that is worth trying.